Word for Today: We cease not to PRAY for you. 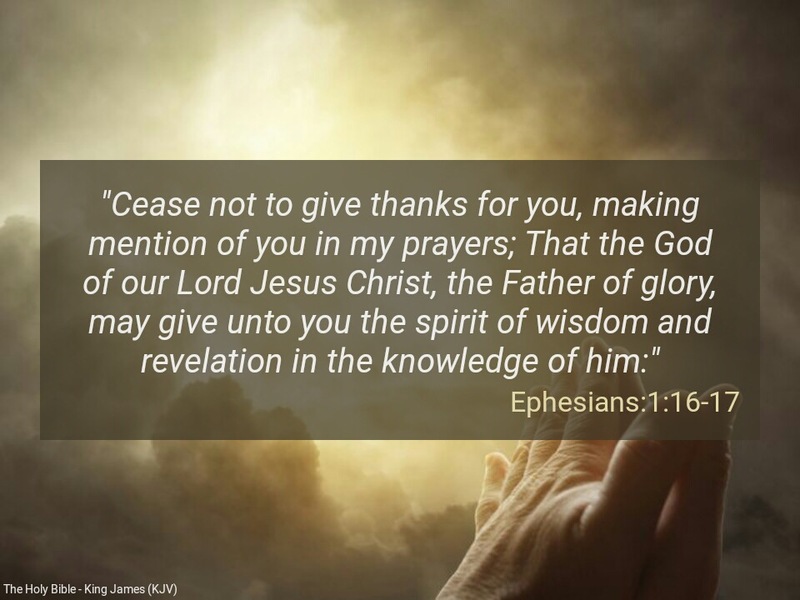 “Cease not to give thanks for you, making mention of you in my prayers; That the God of our Lord Jesus Christ, the Father of glory, may give unto you the spirit of wisdom and revelation in the knowledge of him” (Ephesians 1:16-17). Please, let’s pray for one another, especially all those sincerely and truly connected to the ministry of the word of God, which is quick and powerful ( Hebrews 4:12). Having received the Holy Spirit, you need understanding to harness the power given to you. Power to allow what you want and disallow what you don’t want. Make use of your mouth. Don’t fold your hands and watch evil activities around you. Speak the word of God faithfully against them. Dear Father, we pray for everyone sincerely connected to your word, that you open their eyes to behold wondrous things in thy words in Jesus mighty name. Amen.